A former detainee in Syria’s notorious Sednaya Prison has revealed that thousands of detainees were killed in Damascus' Tishreen Military Hospital after falling ill. The former detainee in Sednaya’s Red Division told Zaman al-Wasl that four officers in his dormitory were killed in less than a year after visiting the hospital for treatment of different diseases. 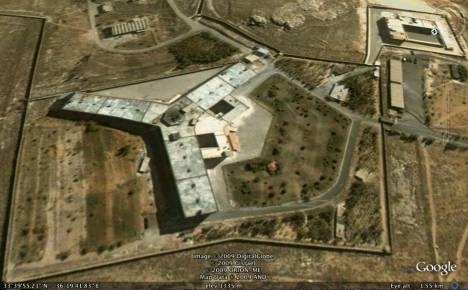 Detainees would often refuse treatment at Tishreen Hospital, preferring instead to die in prison. Many prisoners were taken to the hospital by force where they were later killed, the witness said. According to the witness, the hospital has designated small rooms to each military or civil prison, where many of the killings took place. The former detainee, a Special Forces lieutenant, explained that he required medical attention in October 2013 after contracting scabies. He said he was placed in a room supervised by an assistant and a regime army soldier. The witness confirmed that many patients came to the hospital unconscious and later died, stating that victims were likely involuntarily euthanized. The witness stated that he suspects Col. Abdul Haseeb Kurdi from the village of Al-Samaalal in Huleh, First Lt. Aladdin Owaid from Tal-Dahab, and Lt. Ayham Guenzuah from Hefeh city in Lattakia, were killed after visiting the hospital. The detainee detailed that six out of 20 prisoners who were defected officers of different ranks had died of varying reasons within a year, from mid-2013 to mid-2014. He explained that different reasons were likely behind high death rate, which reached to 20 percent – most significant was torture, followed by a lack of hygiene, as well as the spread of infectious disease like skin infections, typhoid and scabies. All cases of illness were worsened by malnutrition, and a lack of treatment and antibiotics, he added. The witness detailed that there was not enough food to feed inmates in his dormitory, which hosted 30 prisoners. Prisoners were provided with glass of rice or bulgur, a loaf and a half of bread and three pieces of potatoes. "Many times we wished death to some patients [so we could] take their food and their clothes,” the witness said, adding that many prisoners have resorted to eating olive seeds, potato peelings and chicken bones. The former prisoner explained the Red Division is separate from the other buildings of Sednaya Prison, designed in a similar shape the Mercedes logo, consisting of five floors (three above ground and two underground). Each floor consists of 60 dormitories, each one holding 30-50 detainees, which means that the number of detainees could range between 15,000-20,000, he said.